Existing business process performance mining tools offer various summary views of the performance of a process over a given period of time, allowing analysts to identify bottlenecks and their performance effects. However, these tools are not designed to help analysts understand how bottlenecks form and dissolve over time nor how the formation and dissolution of bottlenecks – and associated fluctuations in demand and capacity – affect the overall process performance. 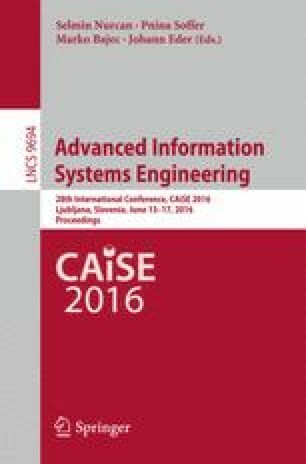 This paper presents an approach to analyze the evolution of process performance via a notion of Staged Process Flow (SPF). An SPF abstracts a business process as a series of queues corresponding to stages. The paper defines a number of stage characteristics and visualizations that collectively allow process performance evolution to be analyzed from multiple perspectives. It demonstrates the advantages of the SPF approach over state-of-the-art process performance mining tools using a real-life event log of a Dutch bank. This research is funded by the Australian Research Council Discovery Project DP150103356 and the Estonian Research Council (grant IUT20-55).